These are adorable! 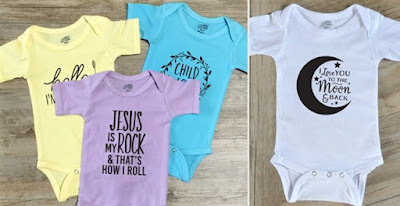 Inspirational Baby Bodysuits | 10 Colors $9.99 (Retail $20)! Our Baby Bodysuits make the perfect gift for friends and family or just an extra special treat for your new baby. Perfect gifts for Baby showers!